Triskel are delighted to be part of this year's Fringe Concerts for the Cork International Choral Festival. Every year, this festival welcomes choirs from all over the world for a programme of Gala concerts, Schools Concerts, National and International Competitions, and world-class performances, as thousands of participants bring the city to life for a celebration of choral music in all its many forms. 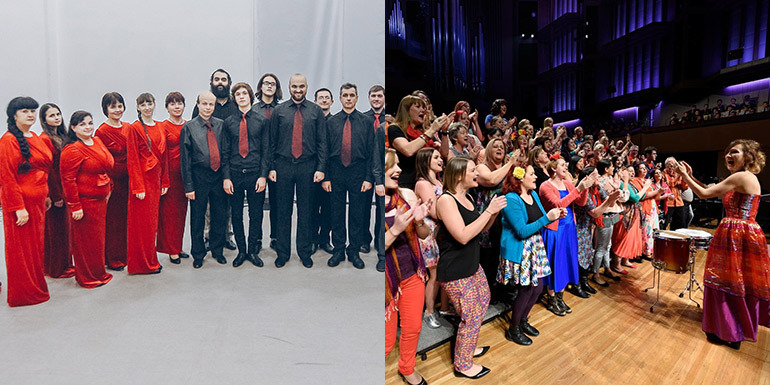 This year, the Petroysan Chamber Choir from Ukraine and Cheep Trill from Australia will be singing in Triskel. They're here on Thursday 2 May at 1.10pm. It's free but ticketed. Click here for more.